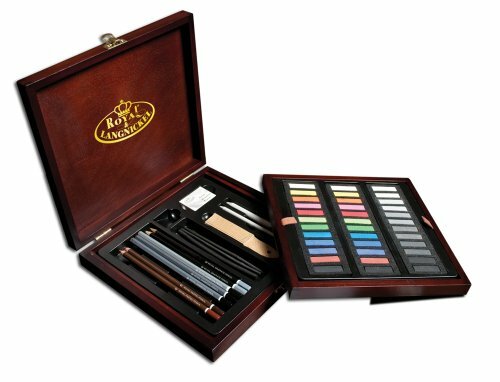 These beautiful Artist Premier sets from respected artist suppliers Royal and Langnickel come complete with high quality selections of artist materials, all in very attractive wood cases. Each customized case has protective holders for the materials, so even on-the-go artists can travel with confidence. 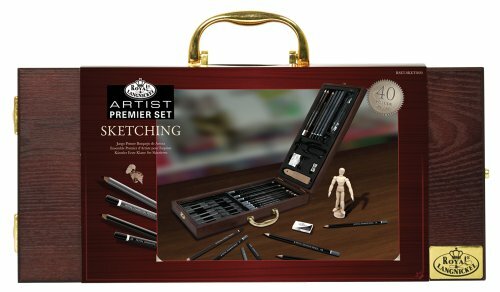 The Premier Sketching Art Case Set contains essential sketching materials and tools. Quality pro-level products are housed in a rich dark brown wood case with handle. 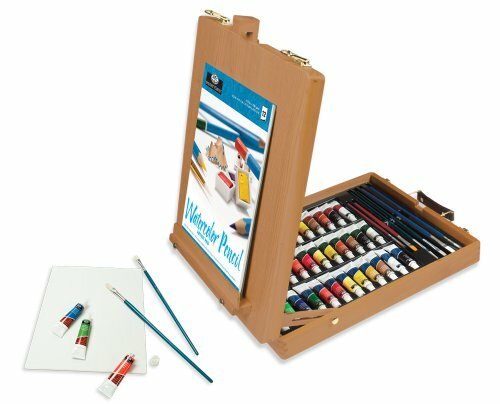 This set is ideal for beginning artists and students and is an exceptional value. 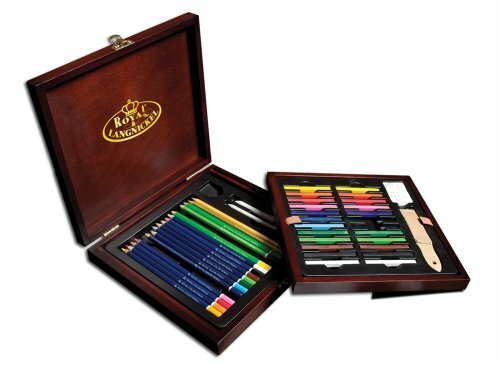 The Premier Color Pencil and Drawing Set brings together all the inspiring color drawing supplies in a finished wood case. Quality materials thoughtfully organized in self-contained in custom trays. This premium drawing set benefits artists of all levels. The Royal All Media with Easel Set is a comprehensive collection of all media artist materials. The convenient wood storage and travel chest converts into a sturdy table-top easel. An outstanding set of tools for your studio or an ideal gift for an artist or serious art student. 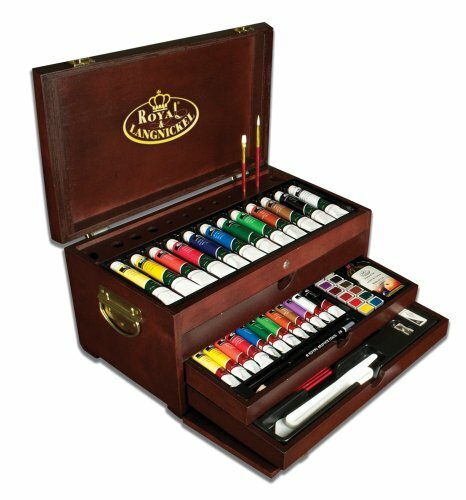 The Premier Painting Chest is the ultimate art set for artists and aspiring artists. The dark wood chest with drawers is as functional as it is beautiful. The chest is a treasure trove containing a huge assortment of richly pigmented paints, famous Royal & Langnickel brushes and all the tools you need to start painting. If you take a serious approach to your art, this is one, serious set. Just add your preferred surface and you're ready to create a premier work of art.